Are 'the people' of US ready for democracy? 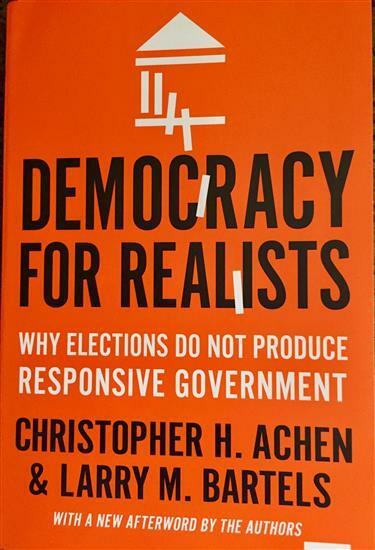 Christopher Achen’s and Larry Bartels’ ‘Democracy for Realists’ demonstrates how citizens’ rosy belief in the ‘folk theory of democracy’ is belied by actual voter behavior. 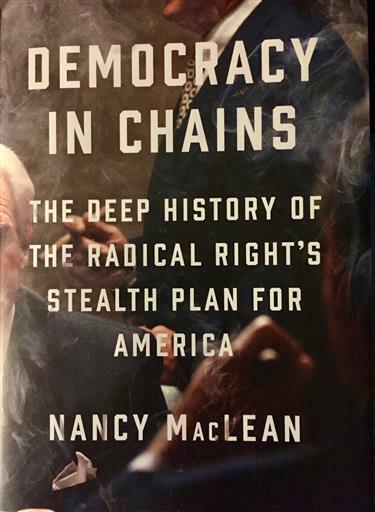 Nancy MacLean’s ‘Democracy in Chains’ focuses on the political theory and efforts of those who distrust majoritarian democracy. 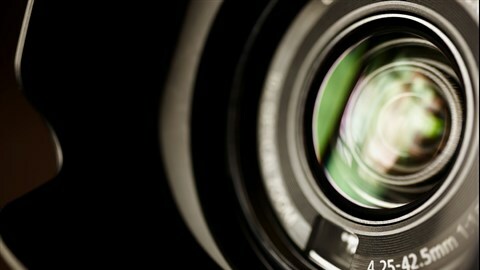 Buchanan also recognized that this expanded federal bureaucracy was far from being a neutral player in the political arena, as such agencies — created to, for example, ensure food and drug safety or protect the environment — would inevitably assist citizens championing the same causes, further tipping the scales against the productive class. It was Calhoun who developed the theory of a concurrent majority that would allow the propertied minority to have veto power over proposed actions that would deprive them of their rights. Buchanan, MacLean notes, likewise concluded that it was imperative to find ways to put “legal — indeed, constitutional — shackles on public officials so … (that) they would no longer have the ability to respond to those who used their numbers to get government to do their bidding. The “average citizen” apparently well understands that — because the wealthy dominate policy formulation and candidate selection, the primary voting system consistently advances more extreme candidates to the general election, and voter suppression efforts and partisan-gerrymandered districts are all designed to undermine the actual views of the majority — their voice and vote have little if any impact. We have allowed the political parties — and the numerous well-placed and well-financed groups that fund them — to create a state of affairs in which candidates are rigorously vetted according to primarily ideological and partisan expectations.